Writing | Mary Chayko, Ph.D. Along with teaching, writing is at the heart of my academic life. 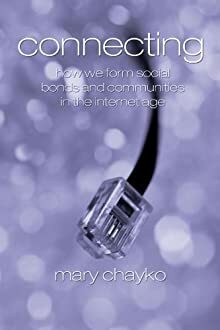 My books all explore the impact of technology on society, from the micro (self, relationships) to the macro (community, society, social justice). They have also been well received by the general public. My most recent book, Superconnected, now in its second edition, is appropriate for any number of courses exploring the impact of the internet and digital technology/social media on the way we live. “Book Review: The Engaged Sociologist.” 2012. Humanity and Society. 36:1:85-86. The Portable Community: Envisioning and Examining Mobile Social Connectedness.” 2007, International Journal of Web-based Communities. 3:4:373-382. Author’s Response to Review of “Connecting.” 2007, March, Resource Center for Cyberculture Studies. And see Chrys Egan’s review of “Connecting,” that my author’s response refers to, here. Book Review: Love Online. April 2006, Resource Center for Cyberculture Studies. And see Aaron Ben-Ze’ev’s author response to my review here. Book Review: The Internet in Everyday Life, 2003. Contemporary Sociology 32:6:728-730. How You Act Your Age When You Watch TV. 1993. Sociological Forum. 8:4:573-593. What is Real in the Age of Virtual Reality? “Reframing” Frame Analysis for a Technological World.” 1993, Symbolic Interaction, 16:2:171-181. Technological Ties That Bind: Media-Generated Primary Groups. 1992. Communication Research. 19:1:109-129. (With Karen A. Cerulo and Janet M. Ruane). Second edition of Superconnected. Click to view or purchase. Article in Vodafone Receiver: "I'll Take My Community To Go"